Yes- a Pan, Tilt, and Zoom High Definition Camera with USB connectivity. That price is not a mistake! The VPTZH-01 USB HD PTZ videoconferencing camera is designed to bring you crisp clear HD plug and play video quality through the USB port of your MAC or PC. No need for PCI cards or additional hardware! With a patented FPF Focus system you can focus on your subject faster and with a large pan/tilt shooting range of up to 300 degrees horizontally and 180 degrees vertically with the VDO 360 PTZ camera reaches every angle with quiet agility. 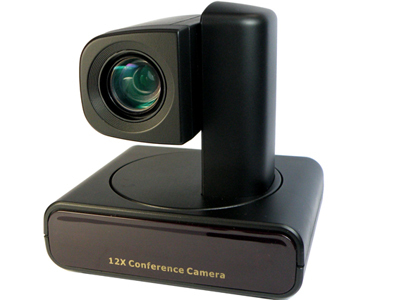 The camera also boasts a 12 x optical zoom, an RS-232 input and multifunction IR remote control. It is the perfect camera for videoconferencing, distance learning, courtroom recording, corporate training and general surveillance. It uses IPS high quality image signal processing unit, high sensitivity pixel technology delivers low light sensitivity of 3300mv/lux-sec,S/Nration of 39 dB, and a peak dynamic range of 69dB, enabling cameras to operate in virtually every office/business lighting condition.